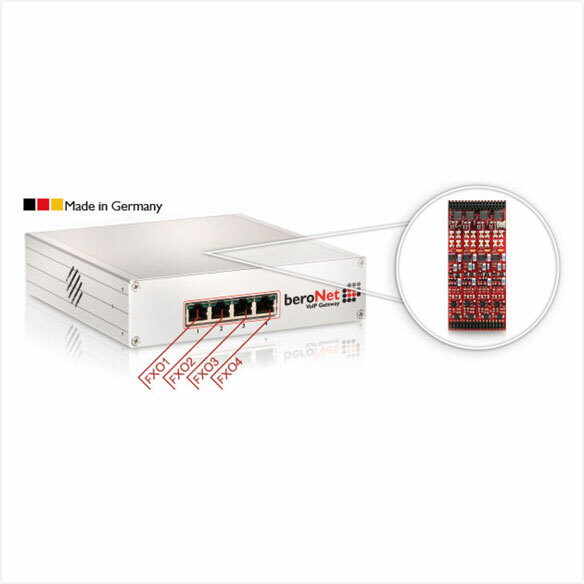 The beroNet 4 FXO Gateway (BF4004FXOBox) is equipped with 4 analog FXO ports (Foreign Exchange Office). 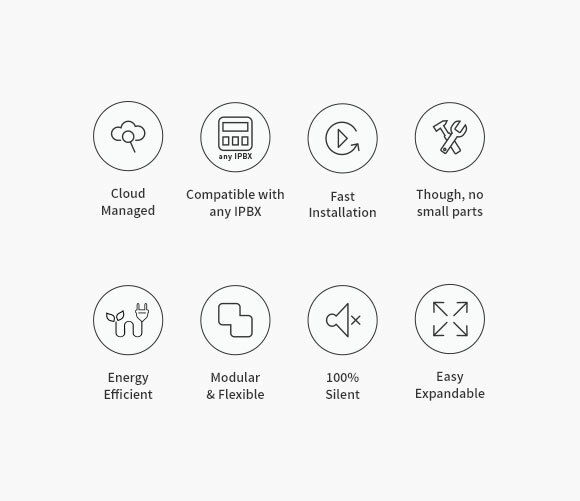 With the 4 FXO Ports a soft PBX can be connected to an ordinary analog telephone provider. 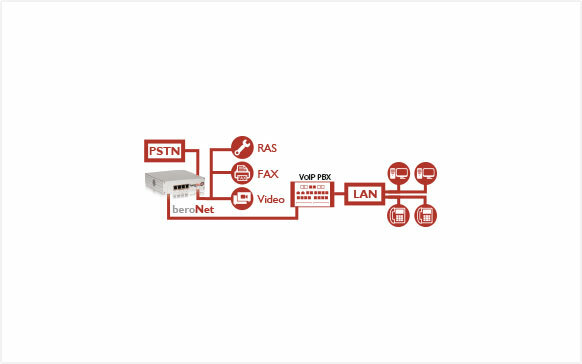 The Gateway connects SIP with analog in order to be connected to the public telephone network or to an internal analog connection of the telephone system. It can be easily extended by an additional module.